Welcome back. Have you been to a restaurant lately, one where you sit and are given a menu? Did you pay any attention to the menu itself or just use it to select your dining fare? Years ago, I recall my daughter, Rachel, designed the logo and menu for a casino. No doubt she and other graphic designers produce some phenomenal restaurant menus, but it turns out there’s been quite a bit of research on menus, for example, assessing typeface, weight, color and, of course, design. typeface, “DJB This is Me"
This was all new to me until I came across a recent study by researchers from Ohio State and Pennsylvania State universities. They found handwritten typeface--printed typeface that appears to be written by humans--conveys a sense of human touch and love. (How could I not review that study?) Menus with handwritten typeface translated to good things, at least for “healthy” restaurants. 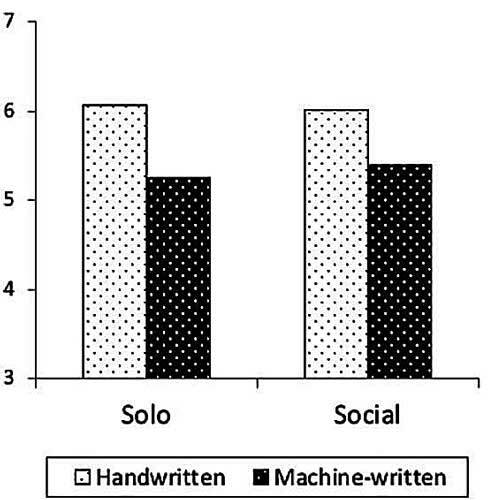 The researchers conducted two scenario-based survey experiments testing handwritten vs. machine-written typeface. One scenario was healthy vs. regular restaurants, the second was dining alone vs. dining with friends. The researchers had 185 U.S. adults (average age 36, 54% male, 77% Caucasian, 63% had college degrees, 63% earned over $40K/year) read a menu while imagining themselves patronizing a fictitious restaurant. The participants were randomly assigned to one of four experimental conditions, reading either a handwritten typeface (“DJB This is Me”) or machine-written typeface (“Helvetica”) menu with identical content at either a healthy or regular restaurant. The healthy restaurant was described for the participants as being health-conscious, committed to sustainability and having its entire menu based on locally grown, non-GMO, antibiotic-free ingredients. No such information was provided for the regular restaurant. The participants were then asked to rate the menu (e.g., 1-dislike, 7-like; 1-unappealing, 7-appealing); food healthiness (e.g., 1-unhealthy, 7-healthy); the likelihood they would recommend the restaurant on social media (1-not at all, 7-very much); if the menu gave a sense of human contact, warmth and sensitivity (1-strongly disagree, 7-strongly agree); and if the dishes conveyed love, passion and warmheartedness (1-strongly disagree, 7-strongly agree). All experimental manipulations, such as scenario realism, were also rated and judged effective. The tallies showed the handwritten typeface generated more favorable attitudes toward the menu, higher levels of perceived healthiness and higher levels of social media engagement than did the machine-written typeface, but only in the healthy restaurant condition. They were no differences in the regular restaurant condition. Attitude toward different typeface menus of healthy vs. regular restaurant (from www.sciencedirect.com/science/article/abs/pii/S0148296319301122). For the second experiment, the researchers had 191 U.S. adults (average age 37, 57% male, 74% Caucasian, 71% had college degrees, 69% earned over $40K/year) read a menu while imagining themselves patronizing a fictitious healthy restaurant. The participants were randomly assigned to one of four experimental conditions, reading either a handwritten typeface menu or machine-written typeface menu while dining either alone or with friends. As in the first experiment, the participants were asked to rate the menu, food healthiness and likelihood they would recommend the restaurant on social media. They were also checked on experimental manipulations of menu typeface and ease of processing and asked about the scenario realism. The tallies replicated the findings of the first experiment for both dining alone and dining with friends. The handwritten typeface led to more favorable attitudes toward the menu. Attitude toward different typeface menus of a healthy restaurant dining alone or with friends (from www.sciencedirect.com/science/article/abs/pii/S0148296319301122). 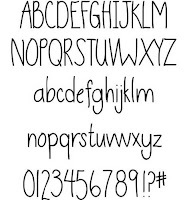 The study findings suggest that adopting handwritten typeface for their menus could potentially be a simple and profitable marketing strategy for promoting healthy restaurants. 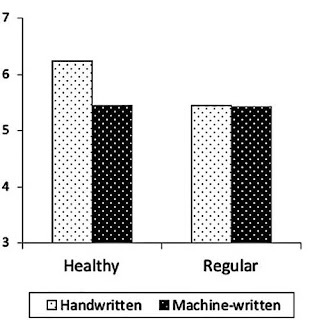 To explore this further the researchers recommend testing handwritten typeface with different sample populations in a field setting and collecting data on actual behavioral responses. That would include monitoring online review data for changes in social media engagement. 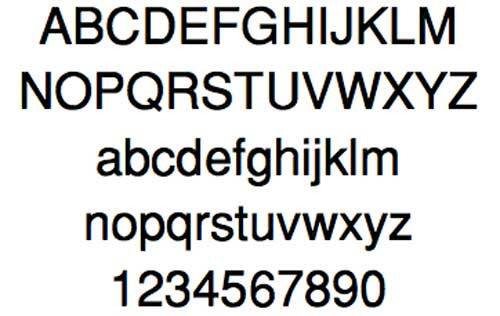 And that’s only one example of how important typeface can be. Thanks for stopping by.